English is probably not his native language, so I shouldn't blame him for the misspelling in the title. I am not sure the question is meaningful. Some think that the universe is spatially infinite, but that matter only occupies a bounded portion of it. Should such people say that the universe is finite or infinite? I say finite. We can only observe a finite portion of the universe, and our physical theories relate to finite quantities. I am not sure it makes any scientific sense to speak of an infinite universe. The legendary Carl Friedrich Gauss denied that anything infinite really existed, saying "Infinity is merely a way of speaking" and "I protest against the use of infinite magnitude as something completed, which is never permissible in mathematics." A very good piece on infinity. It does not belong in science, as science has always been about what can be comparatively measured. Something proposed as 'infinite' can only actually be speculated upon, not measured comparatively, as in comparison the ratio of any known or imagined finite quantity becomes effectively zero. These 'effectively zero' mind games are the huge loopholes through which all manner of poorly conceived assumptions and abstract reasoning enter the sciences...they are basically nothing but modern day Zeno's paradoxes dressed up in complicated math. After nearly a century spent trying to make sense of general relativity and quantum physics, it looks quite possible that the missing pieces have been present and available for almost forty years (except for the late breaking discovery that neutrinos have tiny but non-zero masses). The answer may very well lie in a more detailed mathematical analysis of the way that the non-Newtonian aspects of gravity that follow directly from the principles upon which the theory was formulated (although not necessarily precisely the same formulation of the equations derived from those principles). 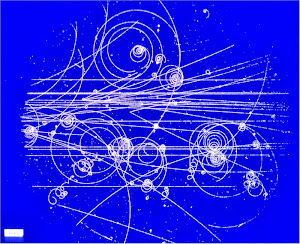 As noted above, there is a rich academic literature expressing dissatisfaction with the precise way that General Relativity was formulated by Einstein on the grounds that it lacks one or another subtle aspects of rigor or theoretical consistency, or makes a subtle assumption that is unnecessary, or needs to be tweaked to formulate it in a way that formulates gravity in a quantum manner. While the core concepts of General Relativity are a key pillar of fundamental physics, the exact manner in which Einstein expressed those core concepts mathematically has far less respect within the ranks of expert physicists than they do among educated laymen. If Deur hasn't missed something really basic in his analysis, in a part of general relativity theory that has been widely avoided based upon the textbook lore that it was a dead end, it turns out that this scorn has been well deserved. Less glamorous challenges, like trying to understand the physics of dense condensed matter object in space like neutron stars, looking for exotic hadrons, explaining scalar and axial vector mesons, the theory of patron distribution functions, will start to look more promising than the grand race to find a GUT theory that merely post-dicts Standard Model and gravitational physics that we already understand, except for the "why" we have the laws of physics that we do instead of something different. 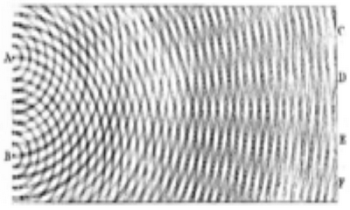 Increased precision in the measurements of the soon to be completely measured set of fundamental physical constants will also narrow down even the options for those kinds of inquiries. Can quantum computing solve classically unsolvable problems? As much as they try, infinities don't appear in nature.